Bhojpuri sensation Mani Bhattacharya has put a new photo on her Instagram page in which she is carrying a beautiful smile and wishing her fans and everyone Good Morning! In this morning selfie, it appears that Mani Bhattacharya is going for some early shoot or just on a drive, but with her beautiful smile, she is surely going to win a million more hearts! 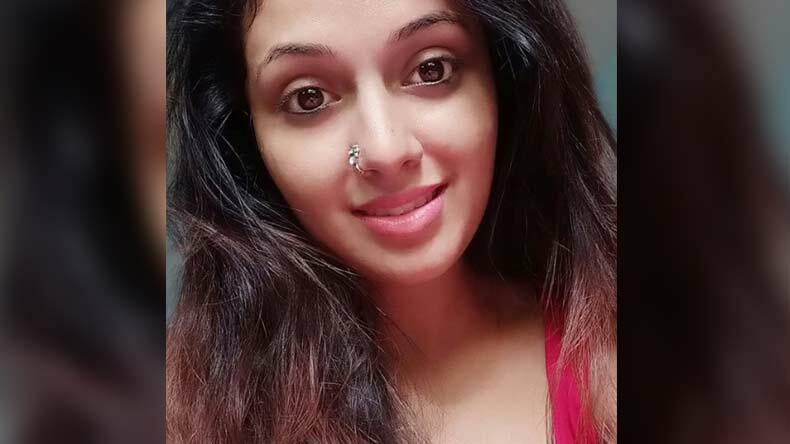 Bhojpuri diva Mani Bhattacharya, who is the rising star of the Bhojpuri film industry, has updated her Instagram with a beautiful post. The actress took it to Instagram and posted her photo with carrying a beautiful smile. The post which appears to be a morning selfie, Mani Bhattacharya is surely gonna win lots of hearts with her beautiful smile. The Bhojpuri actress is an avid social media user and keeps treating her fans with her latest photos and videos on Instagram and other social media profiles. Mani Bhattacharya is known for her on-screen chemistry with Bhojpuri actor Pawan Singh. She is known for taking social media by storm with every post that the actress posts on her profile. Just like her Instagram posts, Mani Bhattacharya’s dance videos on YouTube are also a hit. Her dance videos on YouTube always receives millions of views as the actress has a huge fan following. Talking about her latest photo on Instagram, Mani Bhattacharya is wearing a simple yet decent blue and white top with a beautiful smile on her face. She coupled the photo with a simple caption wishing Good Morning to all her fans. Clicking an early morning selfie, it appears that Mani Bhattacharya is going for some early shoot or just having a good time on a drive. Well, whatever the purpose is, this beautiful capture is surely going to rule on many hearts!